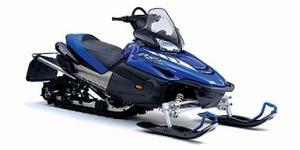 Looking for a Yamaha RX-1 snowmobile? Introduced in 2003, the RX-1 was the first performance-oriented four-stroke snowmobile to hit the market. The incredibly smooth, yet powerful engine produces around 145 horsepower. You might feel the extra weight of this sled on tight or bumpy trails, but few machines can stay with it across the lake.